This historic park is one of the few documented sites of actual trail and campsites used during the forced removal of the Cherokee people to “Indian Territory”. It was used as an encampment in 1838 and 1839. This park is the burial site for two Cherokee Chiefs who died during the removal—Fly Smith and Whitepath. This long, cruel relocation has become known as the “Trail Of Tears” and by Native Americans as “The Trail Where They Cried”. 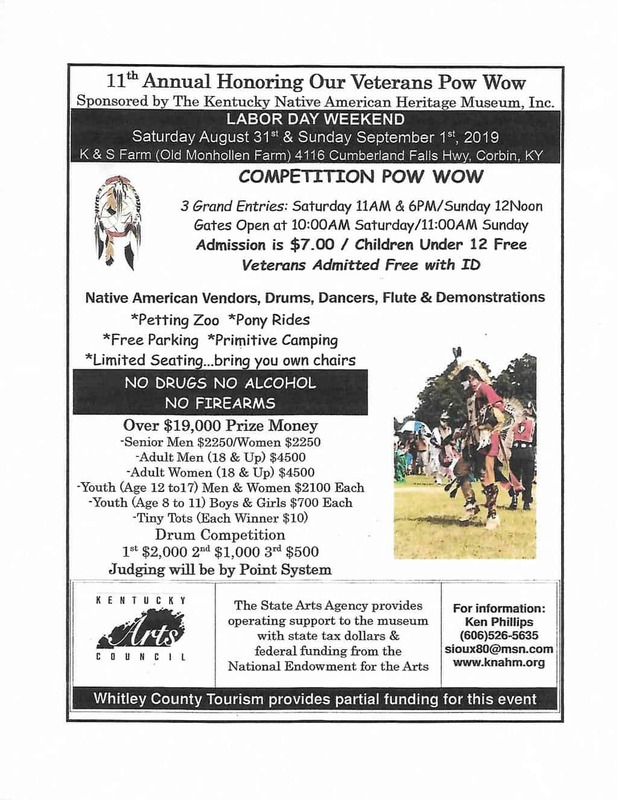 Every year on the first full weekend after Labor Day, the Trail Of Tears Commission sponsors an intertribal Pow Wow at the park. A Pow Wow is a gathering of Native American people to celebrate their rich heritage; to socialize with old friends and make new ones and an opportunity to expose all cultures to the centuries old tradition of the various dances and Native American crafts; and to educate the Pow Wow visitors with story telling and Indian lore demonstrations. During our annual Pow Wow, there will be a drum contest with 1st, 2nd, and 3rd place cash prizes, Fancy Dance contest on Saturday night, as well as surprise dances for cash prizes like chicken dance, team dance, and candy dance. Children of all ages enjoy visiting our Pow Wow and feel free to come visit our Heritage Center locates on the property. Head Man and Head Lady are Gabe Bullock and Kimberly Bugg-Green respectively. What type of activities will there be for children? Hi. I search the internet and cannot find a 2018 flyer. The Facebook pages I’ve been able to find also don’t have anything using the 2018 dates. The best I can do for you is to suggest that you contact Jimmy Dosset at [email protected]. He was the one who gave us the information we have listed about this Pow Wow.